The 2019 Ford F-150 Limited. Ford plans to electrify the top-selling F-series line with battery-electric and hybrid variants. Jim Farley, Ford Motor Co.'s president of global markets, confirmed plans to build a less expensive pickup that would slot below the Ranger, and he reiterated a company goal to eventually offer battery-electric versions of the F series. Speaking about the automaker's pickup strategy at the Deutsche Bank Global Auto Industry Conference in Detroit, Farley said Ford is "investing in more affordable versions of our truck business" and that "you can expect new nameplates below where we compete today." Automobile magazine last year reported that Ford planned to introduce a compact pickup in its U.S. lineup by 2022, citing unnamed sources, who said it would be a unibody vehicle based off the next-generation Focus platform. Ford at the time did not deny the report, saying in a statement it would be "significantly expanding our North America lineup with all-new vehicles and entering new segments with fresh designs and white space silhouettes that will position us for even more growth." Ford sold a Fiesta-based subcompact pickup, the Courier, in Brazil until 2013. Last year, the automaker applied to trademark the Courier name in the U.S., Car and Driver reported. Farley also said in his presentation last week that Ford would be "electrifying the F series, both battery-electric and hybrid." He declined to provide a time frame or specify whether Ford would offer an electric F-150, Super Duty or both. 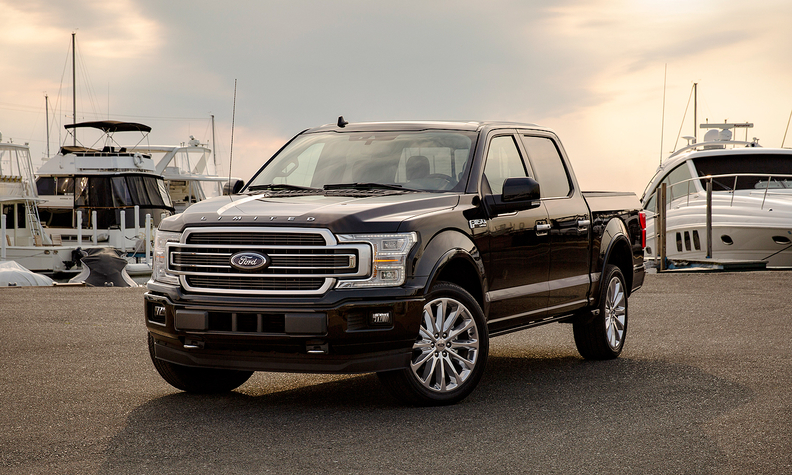 Executive Chairman Bill Ford confirmed last year that Ford planned an F-series EV, at a celebration marking 100 years of the Rouge manufacturing complex, where the F-150 is assembled. "When it comes to building the best trucks in the world, we never rest," Bill Ford said in September. "Whether they're gas, diesel or hybrid — or, when the time comes, fully electric — they will power the world in a sustainable way and remain built Ford tough." Ford plans to introduce a hybrid F-150 by the end of the decade. The investments in Ford's most profitable product line are part of a portfolio overhaul taking place under CEO Jim Hackett. Ford has dedicated 90 percent of its capital allocation to trucks, up from 64 percent in its previous five-year business plan. Ford is investing $11 billion in electrification, with plans to offer 40 electrified vehicles globally by 2022. The lineup will consist of 16 fully electric vehicles and 24 hybrids or plug-in hybrids, Ford says. Hau Thai-Tang, Ford's product boss, said last week that the battery-electric vehicles will be profitable.